Over the last three years the Sensex actually went no­where on a point-to-point basis, yet could you have managed a 30 per cent annual return in this period? Yes, simply by investing in mutual funds, in the popular Systematic Investment Plans (SIPs). SIPs have scored over investing lumpsum from 2008, when the market cor­rection started, till date. Investing regular sums ev­ery month in ICICI Pru Dis­covery Fund, for instance, would have given a hand­some 36 per cent in the last three years through monthly SIPs. Had you invested a lumpsum three years ago, you would have had to be content with a mere 16 per cent gain. have delivered a 15 per cent return though the bench­mark has fallen 1 per cent between these two dates (on a point-to-point basis). A calculation of the SIP re­turns (through internal rate of return or IRR) for the top 25 equity funds, suggests that SIPs were a far superior op­tion to investing one-time in each of these funds over the last three years. 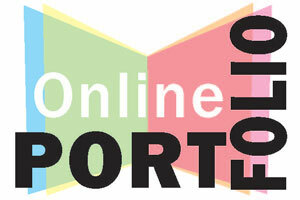 Investments through SIPs garnered returns 10-20 per­centage points higher than the lumpsum invested in all the 25 funds. SIPs allow in­vestors to buy units of mu­tual funds by putting in small sums on a daily, weekly or monthly basis, through an automated process for a peri­od chosen by investors. SIP has excelled over the last three years simply because this was an exceptionally turbulent period for stock prices. The deep plunge in stock prices in 2008 allowed investors who continued to buy mutual fund units to ‘average’ their costs by buying additional units at lower prices. The choppy markets in 2010, too, ensured that ad­ditional units were bought at market dips, thus ensuring better returns. For instance, an SIP kicked off in HDFC Top 200 Fund would have allowed you to start invest­ing at a NAV of Rs 141.8 per unit in March 2008, but as markets fell in 2009, the costs would have plunged as low as Rs 82 a unit in March 2009. 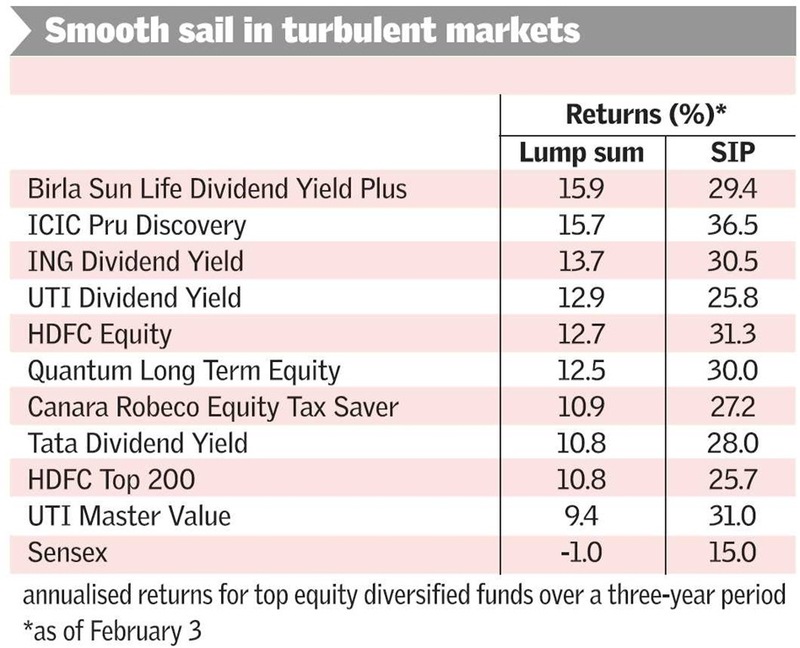 Top funds such as HDFC Equity or Quantum Long Term Equity and Birla Divi­dend Yield Plus, while gener­ating market-beating annualised returns of 13-16 per cent over a three-year period, delivered even better returns through the SIP route, making a 30 per cent return. expanded its NAV by merely 5 per cent compounded an­nually over three years. However, an SIP in the fund would have ensured you a 21 per cent return. This essen­tially means that investors do not have to worry much, even if they had invested in a middle-of-the road perform­er. They could still have managed returns that beat the markets by a good mar­gin. SIPs do not, however, work the same wonder in shorter time-frames of, say, one year. An SIP in a rising market would mean buying every ad­ditional unit at a higher cost. HDFC Equity, for instance, would have delivered a mere 2.8 per cent over the last one year through a monthly SIP, whereas a lumpsum invested a year ago in the fund would have delivered a superior 21 per cent. Source : Vidya Bala, The Hindu Business Line.